Road to Rhoads: Reading the words or falling into a flow of loving intent? Reading the words or falling into a flow of loving intent? Have you ever thought about how you read? Are you a trained speed reader? Do you prefer to read from the back forward? I first read as I was taught, each sentence for comprehension in the common vernacular. There is another way I have found to be very rewarding, especially with spiritually oriented work. 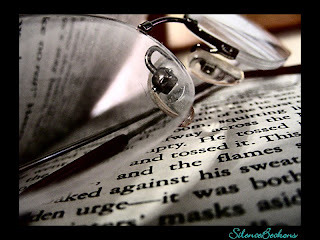 Try to look beneath the words, around the words and then beyond the words. Walk past the words, float amongst the words, watch the words fly by, until the words are no longer there and you are now only experiencing the true nature and intentions of the author. It is you and the author together sharing the actual ideas, not the translation by the mind anymore. The objective is for the words to come off the page directly into the consciousness without the ego’s reply. In its purest sense it is absorption, not translation. At first it is somewhat difficult as there are vocabulary issues; some words are more commonly used in spiritual works. Each author may intend different meanings for words like mind, ego, duality, spirit, soul as well as God, devil, angels, demons. One author’s voice is metaphorical other’s may be concrete. But once past these obstacles, a rewarding experience is close at hand.